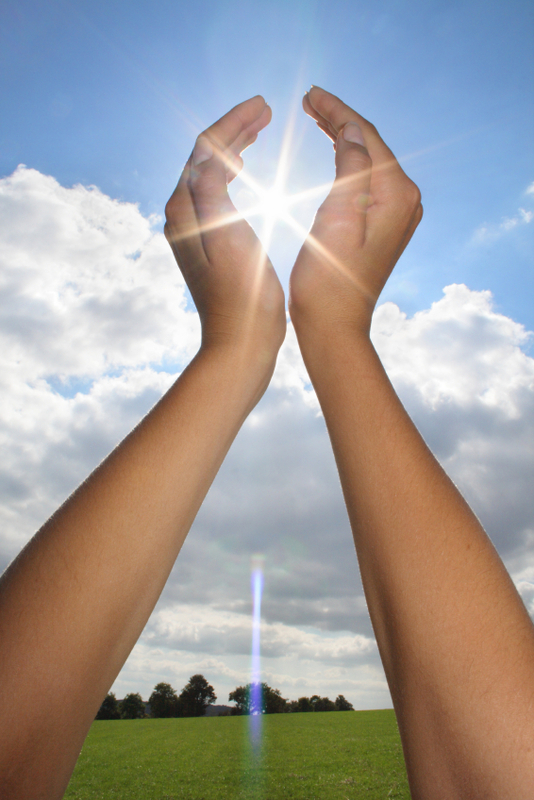 Solar power systems harness the power of the sun to create heat and electricity. In Canada, the solar resource, or potential to generate solar power, is one of the best in all of the industrialized nations. Electricity is generated from solar energy by photovoltaic (PV) panels. PV power systems have no moving parts, and are reliable units requiring little maintenance. Once installed, solar PV arrays generate no noise, airborne, or water-borne pollutants. In the summer, Toronto has better solar radiation then Miami! Solar power is growing by 20% a year in Canada, and Canada is ranked 14th out of twenty reporting nations for installed solar. Internationally, Canada is trailing the growth of the solar industry, which has been increasing by 35% a year and is now a $15 billion market. Market leaders include Portugal and Germany, where solar will provide 10% of peak power requirements within the next 8 years. How much power is in solar energy? For comparison, the solar energy falling on 15 km² in southern Alberta is equivalent to the entire power capacity of all the nuclear power plants in Canada. For more information about the benefits of Solar power, and to visit the Canadian Solar Industries Association website, click here. For an introduction on Solar Photovoltaic Systems, click here. 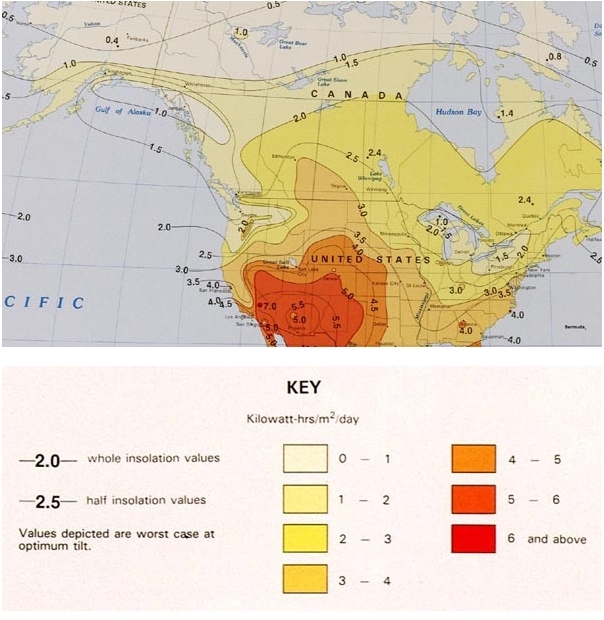 Check the Natural Resources Canada Canadian Solar Radiation Map to see the solar power capacity in your region.